Selective mutism, sometimes called elective mutism, refers to the abrupt cessation of speech in certain social situations, although the child can speak well in other situations. It is a severe type of social anxiety disorder. The cause of selective mutism is unknown; however, some children with the disorder have a family history of anxiety disorders. 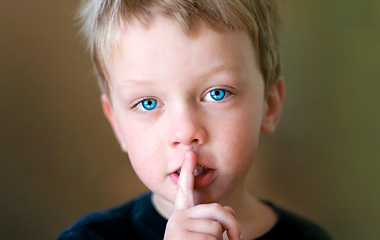 Typically, most children with selective mutism display signs of the disorder before they turn 5 years old. These children are typically shy and perhaps even fearful of people, particularly strangers. Parents may notice that while the child speaks well at home, he cannot speak in certain social situations, like school. For example, you may take your child to a favorite theme park. Your child may speak animatedly in the car, but once your family gets to the theme park, your child appears unable to utter a word. As described in “Psychology Today,” children with selective mutism do wish to speak, but they simply cannot. One blogger described how her son Declan progressively stopped speaking. 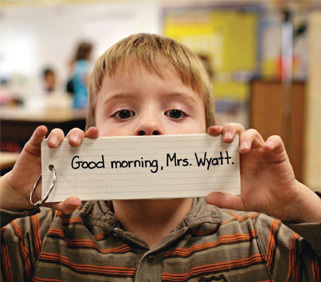 Initially, he stopped speaking with his teachers, then with his nanny, and gradually he even stopped speaking at home. The periods of silence at home progressively grew longer. When Declan could speak, he admitted that he was frustrated with his own silence, but he didn’t know how to fix it. Your child may see several professionals before being diagnosed with selective mutism. It’s likely that his pediatrician will run a hearing test to check for physical abnormalities. Following this, you will likely bring your child to a speech-language pathologist (SLP), who may also work with a psychologist and your child’s teachers to evaluate the possibility of selective mutism. These professionals will likely conduct a speech and language evaluation and an oral-motor examination. The latter test checks the strength and coordination of the muscles responsible for speech. The SLP and the psychologist will also have some questions for you. You will likely answer queries regarding the child’s symptoms, speech and language development, and family history. Each child’s treatment plan should be tailored to his specific needs. The SLP may work with the teacher in the child’s classroom. She can help your child use nonverbal communication methods with a small group of your child’s trusted friends. Gradually, speech may be incorporated. The SLP will work to reduce the anxiety associated with speaking. 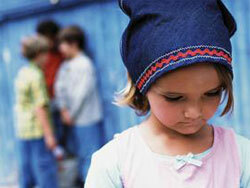 Your child may benefit from a behavioral treatment program. With this type of treatment, one of the techniques that may be used is called shaping. The SLP will work with your child to encourage speech by first using gestures, followed by mouthing the words, followed by whispering the words. The SLP may instruct you to videotape your child while he speaks freely at home. He will then watch the tapes to help instill confidence in his speaking abilities. This is called the self-modeling technique. Another behavioral treatment technique is stimulus fading, in which the child speaks with a trusted person in a relaxed environment. Gradually, a new person will enter the room. This helps encourage your child to speak in front of different people and in various social situations.